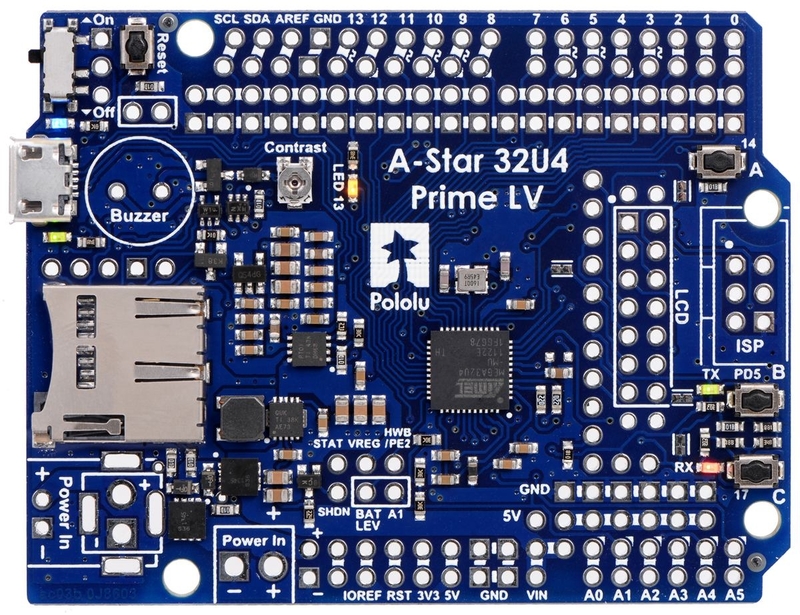 The A-Star 32U4 Prime LV is a programmable board based on Atmel’s ATmega32U4 microcontroller and arranged in the common Arduino form factor. 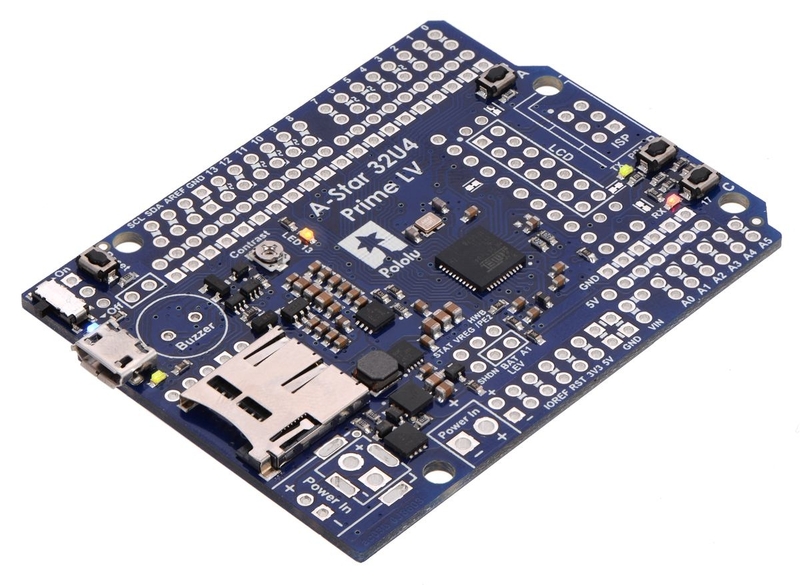 The A-Star Prime offers many additional features and improvements over competing products, including superior power management that enables efficient operation from 2.7 V to 11.8 V. The A-Star 32U4 Prime LV is available in several configurations; this product includes microSD support and does not include any through-hole components; it is intended for those who want to customize the way it is assembled. This configuration of the A-Star 32U4 Prime LV includes microSD support and does not include any through-hole components. It ships as shown in the picture above, without any headers, a buzzer, or DC power jack. This configuration is intended for those who want to customize the way the board is assembled. We carry an A-Star Prime Accessory Pack that consists of a variety of through-hole components that can be installed on this board, including the parts necessary to make it just like our more assembled configurations (male and female 2×7 LCD headers are part of the accessory pack, but the LCD is sold separately). 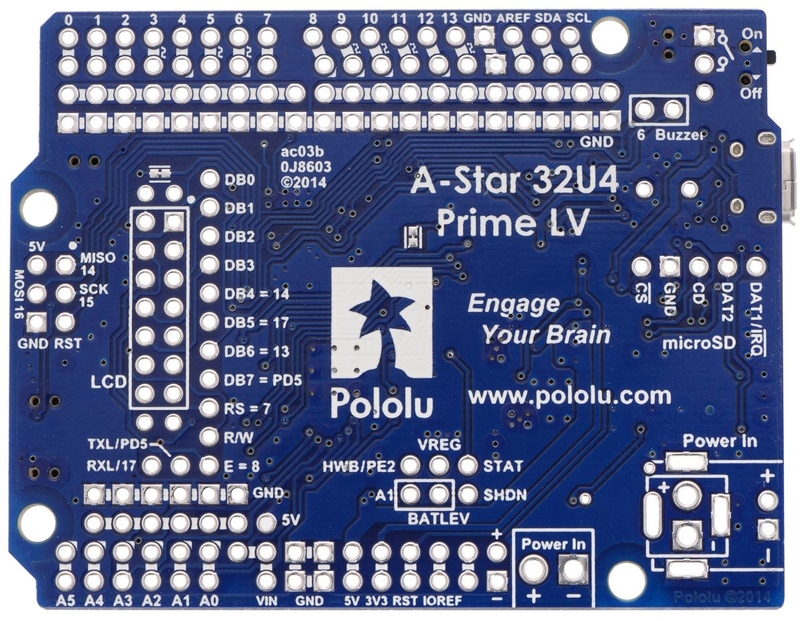 This is the LV version of the A-Star Prime, which operates from 2.7 V to 11.8 V.